8200'- isolated opening in trees in an area on rocks, shallower snow (~50cm). CT12 at the ground, again just tapping on the back of other hand, so not super legit, but did raise eyebrows. 8450'- Opening below cliff bands on exposed traverse. Deeper snow (~80-90cm). No concerns other than storm snow and snow coming off of cliff bands. Classic Hyalite shifty winds. 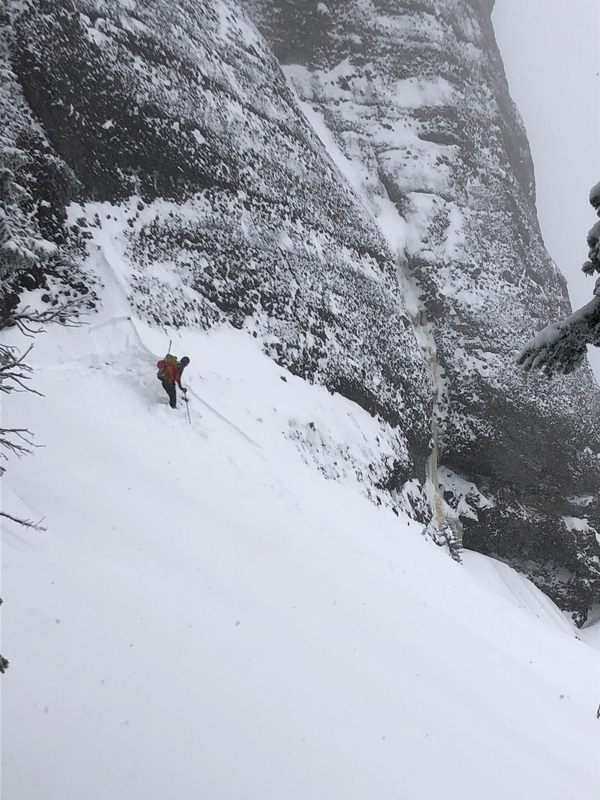 We released a small (10-15cm) storm slab on traverse into the climb . Weather: It was snowing and blowing all day.